P2M Live! 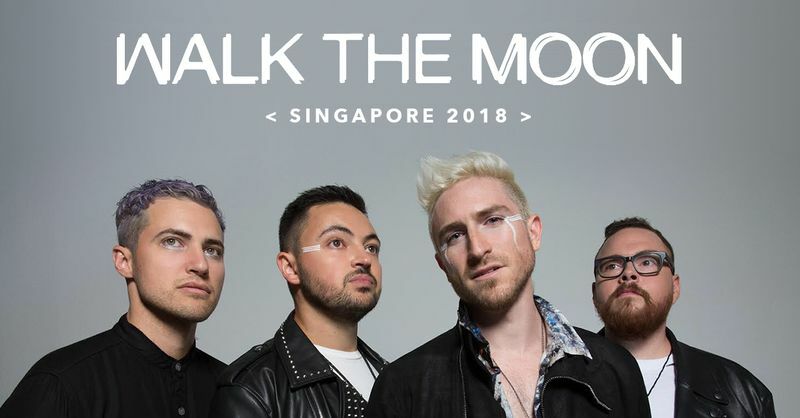 is proud to present American rock band Walk The Moon Live for the second time in Singapore. Ohio’s Walk the Moon have been captivating audiences with their energetic live shows for the better part of a decade. The band first made a name for themselves by touring relentlessly in support of their self-titled debut, which featured the indie classic “Anna Sun.” The alt-rock- pop quartet were then catapulted into the spotlight when 2014’s “Shut Up and Dance” became a multi-platinum global smash, crossing sonic barriers to top three different Billboard charts. After two years of performing countless sold out shows in twenty-five countries across five continents, the band returned to the studio to craft their third major label release, 2017’s What If Nothing. The new album shows the band simultaneously at their most epic and their most vulnerable, a daring step forward both musically and lyrically.